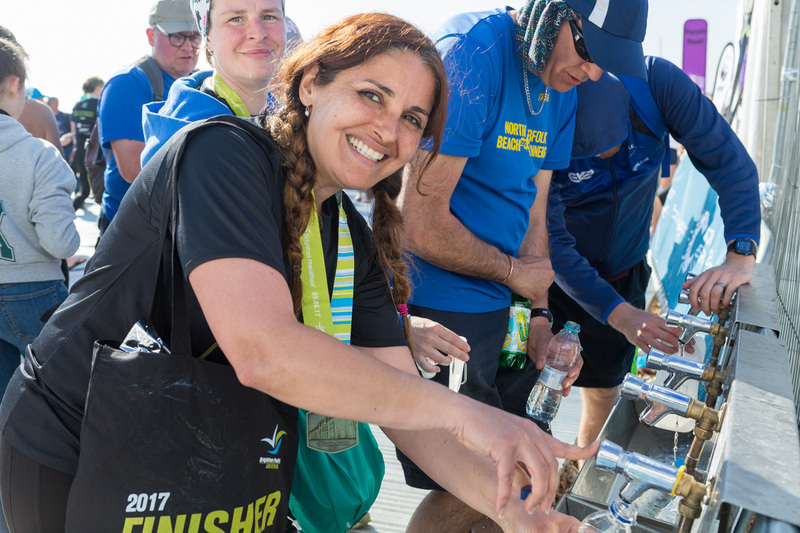 Planning your intake of water throughout the Brighton Marathon is as important as following a training plan and understanding your pace for the event. Stay hydrated on a regular basis before the event and don’t just try and drink to compensate the day before or during the marathon. On the morning of the event, start hydrated. Remember tea and coffee will dehydrate you. How much water on the day? Although there are regular drink stations on the course, these are not in place so that you stop to drink at every one. Think about how much fluid you consumed during your long training runs, and try to replicate this intake when running the race. Stop only for drinks and fuel as you have planned in your training. Forcing yourself to drink too much water during a race is as dangerous as drinking too little and can lead to hyponatraemia. Only drink to thirst. In 2001, an “Advisory Statement on Fluid Replacement During Marathon Running” was written by a Dr Noakes for the International Marathon Medical Directors Association. He recommended marathoners drink 400 to 800 mls/hour (800 being the upper end of the scale for warmer climates). As a rough guide, this is the equivalent of 3 cups of water, per hour of running the marathon. There will be 16 water stations on course, (not including the finish water provisions and taps) giving you ample opportunity to consume this during your marathon. Using cups need not be problematic. They are used in many international races effectively, such as New York and Chicago marathons. Practice taking on water from cups in your training. Grab the cup and pinch it at the top, on one side. This will create a funnel to control the pouring of water and also limit the amount of water splashing out. Remember, you don’t need to get all the water down in a few seconds; you can take your time while drinking and remember to breathe. Cups allow more effective distribution along the route as we can provide smaller portions more regularly. For safety reasons, cups are preferable to bottles. The route is narrow in places due to the volume of runners and running over 12,500 bottles is a considerable safety hazard. We received more complaints in 2010/11 and had more incidents when using bottles. Find out more about this in our FAQs. 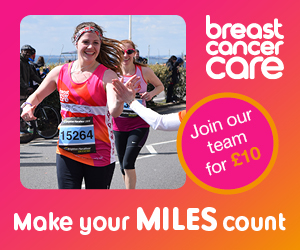 We have experienced unseasonably hot weather for the Brighton Marathon but could equally have cold conditions. No matter what the weather, if you are thirsty make sure you drink. Water is usually adequate but it can be combined with HIGH5 electrolyte drinks, which will be available on the route. For further advice regarding hydration and fuel, please read our full Medical Advice provided by Medical Director for Brighton Marathon Weekend, Dr Rob Galloway.